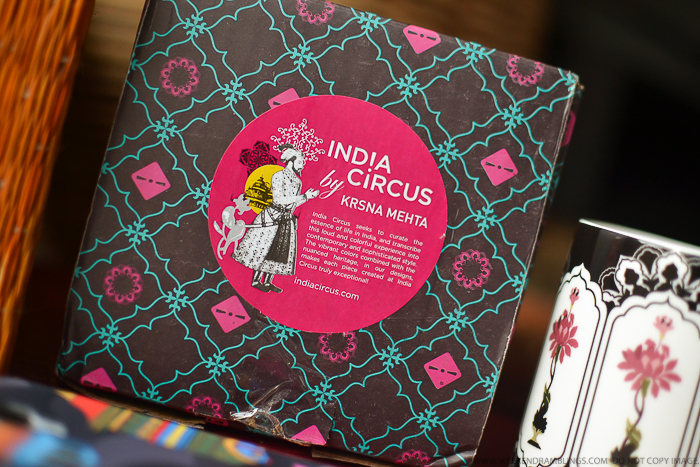 India Circus is a contemporary design label offering affordable and sophisticated designs by renowned designer Krsna Mehta, Design Director of India Circus. The collections offer various life-style products, ranging from home decor to personal accessories. Drawing inspiration from the flora & fauna as well as the rich heritage of India, we seek to bring to you a range of products right from home decor to personal accessories that is flavoured with the Indian aesthetic. I came across India Circus a while back when I saw it mentioned on a couple of Indian blogs that I follow. The name was intriguing enough for me to want to check out the website, and sure enough, they do seem to carry some really interesting products. The brand has a mix of lifestyle and decor items as well as some fun accessories such as wallets, watches, bags, and other cool knick knacks. When I got a chance to try up a few items from the website, I decided to go with something I actually would put to good use, so I (finally) got a cover for my Samsung S4 and some coffee mugs. Odd choice for a beauty blogger, I suppose, but to be fair, I rarely post anything any more :P :P Anywho, just wanted to share a few photos of some goodies I received thanks to the folks at India Circus.